Imperial Might is an epic Willpower support card. It is part of the Core Set. 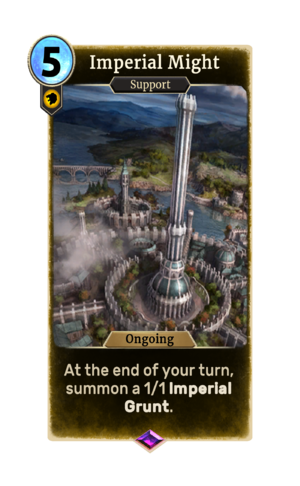 The card's art depicts the Imperial City, and is available as cover art for Willpower decks.